Gates 4" Steel Frame Form Adapter. 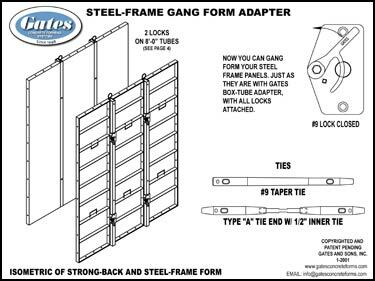 Gang form with standard steel frame panels. 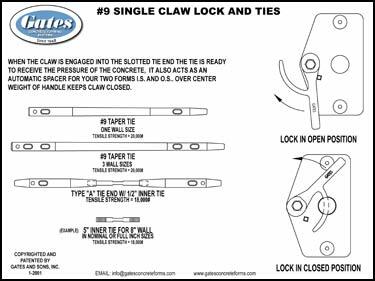 Gates #9 side lock 3'x3' tie spacing. Taper ties or she bolts w/ 1/2" inner ties. Allows for quick assembly of gang forms without making permanent modifications to your forms. 8 sq. ft. per ties.